Imagine a situation. Your favorite soccer team is playing for their finals and you obviously want to watch it desperately. However, you will have to travel as well during that time. You will watch the match on the go, real time – on your smart phone through live streaming. You will find few of the best sports streaming sites online and you can take your pick as per your budget and requirement. You can watch matches LIVE from your laptop or mobile phone – all you need is good internet connectivity. Being a sports addict and not being able to access your favorite match can be real disheartening. 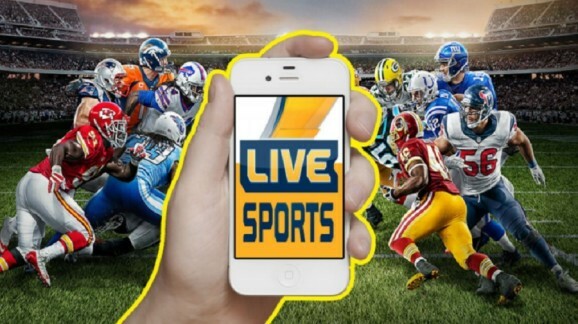 With live streaming sites you can easily watch your sports on the go. There are a number of channels that offer you to watch sports live but sometimes quality is compromised of streaming and sometimes many turn out to be scams. Sometimes there will be so many advertisements that you will lose interest. Sometimes, you will be suddenly redirected to other ad pages without any prior information. Chances are out of 100 streaming sites, 10 will be genuinely interesting. They will be offering you real streaming sports without having to download any app or tools; they won’t have any hidden malware, will be safe and virus free and will not ask for any surveys. All you need is Flash Player or AceStreams. At the end of the day you don’t want to infect your laptop or mobile device with malware virus just to watch a few hours of match. One of the best sports streaming sites, WatchESPN streams all sorts of sports. You can browse through the website to check which of your favorite game is on. However, this channel is still geo-based. Only available in USA, therefore, you will have to be within US to access this service. They offer HD viewing on web browsers, mobile devices and game systems as well. A platform where you can watch any sports you want, this website is one of the most popular and best sports streaming websites. The moment you land on its homepage you can check all the sports event that is on at one go. They also provide you with minute details like names of the team members, duration of the play, location and so on. Since the website is driven by advertisements, you can use Adblock to avoid ads. The site is available in HD. User friendly and well-arranged, LAOLA1 is a well-known brand among viewers who watch sports stream live. The sports content is categorized neatly so that you don’t have any hassle finding it. The website mainly caters to two main languages – English and German. All you have to do is sign up and start streaming. A free sports streaming platform, you can watch all kinds of sports here. Extremely user-friendly, the interface comes with a clean and virus-free platform. You can access all the streaming from the homepage itself. You need not spend time in trying to find out the match you want to watch. And the best part it, the entire streaming comes for free. One of the best websites to watch live streaming of sports, VIPBox comes with a detailed and easy to use interface. 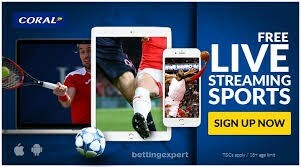 One of the top websites offering free streaming, VIPBox comes with a well-managed list of sports on the homepage itself. Almost the entire gamut of sports is listed on the main homepage. All you have to do is directly pick your sports that you want to watch from homepage itself and start streaming on HD. You can watch any number of sports lie soccer, basketball, cricket, hockey, etc. as you like. One of the best features of VIPBox is it does not break off for too many ads. Simply open the homepage, choose your sports and start watching. Now you don’t have to miss a single sports update, live match or even highlights anymore. Made especially for sports lovers, these websites have created a storm among its viewers. Chuck your worst nightmare because your dream to watch the matches live is here. If you are interested in creating these LIVE streaming websites, it might seem like a herculean task doing it all by yourself or even hiring a developer. There are loads of aspects that you need to follow to ensure that your website is running successfully. There are companies that create live streaming websites clone. All you need to do is share your exact business requirements with them. They have dedicated team of experts who will put together your entire website in perfect turnaround time and at an extremely affordable rate. You can also ask them to add features that will help you monetize your website. You will soon have regular source of money through you live streaming sports.